4Health Dog Food Reviews, Ratings, Recalls, Ingredients! 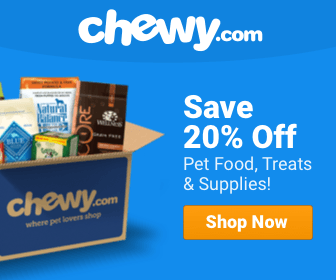 ​4Health Dog Food Reviews, Ratings, Recalls, Ingredients! 4Health dog food is a private label brand made for the Tractor Supply Company. It is manufactured by Diamond Pet Foods, Inc., owned by Schell and Kampeter, Inc. with its headquarters in Meta, Missouri. The Tractor Supply Company, is a large home improvement store, with more than 1000 locations all over the U.S. It is based in Brentwood, Tennessee and has annual revenue of more than $4 billion. In 2010, they launched their own pet food brand called 4Health, marketing it as premium and affordable, providing nutritional requirements for dogs of all ages and sizes for optimal health. This article will examine if it is a good buy of a cheap imitation. Although Tractor Supply Company has over 1000+ locations, if their locations aren't convenient for you, we recommend Taste of the Wild dog food as a comparable alternative. Taste of the Wild is formulated with similar ingredients as 4Health and is also similarly priced. Like other 4Health dog foods, 4Health Performance Formula for Adult dogs features two meat proteins at the top of the ingredient list – chicken and chicken meal. It is an energy dense dry dog food that will help keep your active dog in ideal lean body condition. This dry food contains 30% protein and has an estimated 30% carbohydrate content which is definitely low compared to most other dog foods today. There is no soy, corn, or wheat in the formula. It contains chondroitin and glucosamine for joint health, omega 3 and 6 fatty acids for a healthy skin and coat, and an antioxidant formulation that includes a vitamin E supplement. Good Value for money: A 35 lb bag costs only $30, which is a very competitive price as a health dog food brand compared to most others. Use of antioxidants in their food, especially vitamin E supplement and selenium, essential for a healthy immune system. Antioxidants have even been shown to help dogs and cats that suffer from allergy or coat and skin problems. They also have been shown to promote immune system activity in young animals before vaccination has been implemented. Use of limited ingredients will help any dogs suffering from allergies. 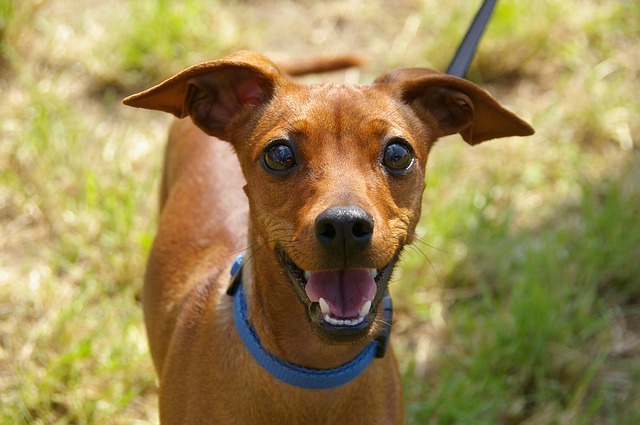 Good testimonials from owners: Some dog owners have noticed an improvement in their dogs’ coats, stool consistency, teeth, weight, and overall health. The positive changes could be attributed to the fact that each 4Health dog food formula provides the right balance of nutrients to the type of dog diet it is designed for. This brand is only available in The Tractor Supply Retail store, so if you are not located near a shop then it might be unavailable to you. 4Health dog food is owned by the Tractor Supply Company, but it is manufactured by Diamond Pet Foods, a pet food production giant with plants in Missouri, California, and South Carolina. They have a bad reputation for using poor ingredients from overseas. A 2005 consumer alert was released for contaminated Diamond Pet Foods for dogs and cats. Over 100 canine deaths and at least one feline fatality have been linked to Diamond Pet Foods contaminated by the potentially deadly toxin, Aflatoxin, according to Cornell University veterinarians. They did experience 4Health dog food recalls in December 2011, due to a salmonella contamination found on Diamond Pet Foods' production center in Gaston, South Carolina. Although no salmonella was found in 4Health dog food, they issued a voluntary recall to be safe. A recent trend in pet food development has been the introduction of limited ingredient and grain-free dog food formulas. Some claim that carbohydrates in pet foods are used as fillers with little or no nutritional value, carbohydrates in dog food contribute to approximately 3.5 calories of energy per gram. However, a recent study suggests that domestic dogs are able to metabolize carbohydrates so I question whether it is worth spending the extra money for these varieties unless your dog has an allergy and absolutely requires grain-free dog food. Although Tractor Supply Company has over 1000+ locations, if their locations are not convenient for you, we recommend Taste of the Wild dog food as a comparable alternative. Taste of the Wild is formulated with similar ingredients as 4Health and is also similarly priced. Chicken = Chicken is a leading source of protein and is packed with amino acids, however it has a very high water content. It is highly digestible for dogs since it comes from an animal source, it is also flavorsome, so will make the food taste good to your dog. Chicken Meal = This may sound like a cheap alternative to chicken, but chicken meal has been dried and most of the moisture has been removed so it contains three times more protein than chicken. Both of these ingredients are good sources of omega-6 fatty acid. Ground Rice = This is a slightly confusing ingredient as it is unclear if the rice in this food is brown rice. If it is ground white rice, then the nutritional quality of the rice would be significantly less and would be something like a white rice flour. On the other hand, white rice is easier to digest and good for dogs with a sensitive stomach. Cracked Pearled Barley = This ingredient is a good source of dietary fiber and manganese, as well as omega-6 fatty acid. It takes a while to digest barley which keeps your dog feeling full and keeps his blood sugar levels at a steady level. Chicken Fat = Chicken fat is a good named source of fat for your dog. It has some omega-3 fatty acid and it is packed full of omega-6. The food also contains some controversial food like Beet Pulp which some dog owners claim is a cheap filler and accuse it of being a by-product of the sugar beet industry. However most of the sugar has been removed from beet pulp and so it has a good level of fiber and could act like a probiotic in your dogs intestine. I believe therefore it is a beneficial ingredient so should not put you off. The food also contains flaxseed. If you are a dog breeder, you should be aware that flaxseed contains phytoestrogens which can interfere with reproduction in dogs. You can find various articles online that describe this issue as it affects dogs and humans. Be careful feeding dry dog food that contains flaxseed to your dogs if you are planning a litter in the near future or if your female dog is pregnant. The food also contains fish meal. Fish meal is a great animal source of omega-3 fatty acid. Diamond, which makes 4Health for Tractor Supply, says that their fish meals are ethoxyquin-free. This is a fat preservative that has caused controversy mainly because of its use as a pesticide and in making rubber. However the Food and Drug Administration has ruled it safe. In December 2011, Salmonella contamination was found on the premises of Diamond Pet Foods’ Gaston, South Carolina production facility. As a precaution, Diamond Pet Foods issued a voluntary dog food recall for all of their dog food brands with the best-by dates of December 2012 through March 2013. 4Health dog food did not test positive for Salmonella, but Diamond pulled it off of the shelves anyway and went through with a voluntary recall. It is good to know they took responsibility and precaution in going through with their 4Health dog food recalls to make sure everything was safe for your dog before selling it to you. 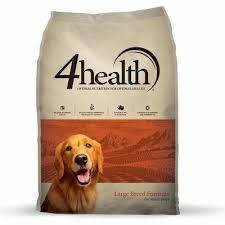 Is 4Health A Good Dog Food? As this dog food is a private label brand, my resources for finding information on the food were limited. From my ingredient analysis it appears that this food has above average ingredients and offers roughly the same ingredients as other health food brands but at less cost. One small reservation I have is the origin of the ingredients, for example the brand Nutro dog food, claim that they can trace all their ingredients back to the suppliers whereas with this brand I can find no information as to where the ingredients originate. Of course this may be immaterial, as unless you are prepared to visit one of the Tractor Supply Company's retail stores then you will not be able to purchase it. If you do, I would recommend trying it with your pooch. The high meat content will make it appealing to your dog and although Diamond pet food does not have the best reputation, I have found no evidence of any recalls or complaints against the 4health line in the last 2 years. 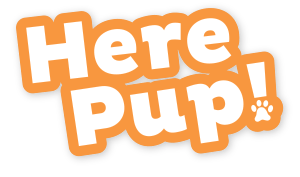 Hope you found these 4Heath dog food reviews helpful! IAMS Proactive Health Reviews, Ratings, Recalls, Ingredients!